Present baby's Godmother with this lovely, custom-created plaque as a tangible reminder of baptism day. 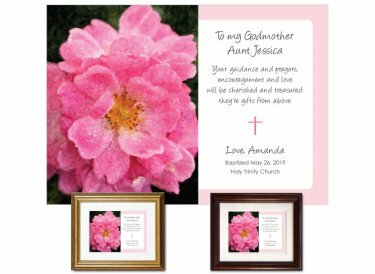 Personalized with their names along with the baptism date and church name. Original design. Hand fnished using premium museum-quality materials.